What is so Great About Kona? When it comes to Hawaii coffee most people think immediately of Kona Coffee, and for a good reason. Kona coffee is rated as one of the world’s top gourmet coffees and has a rich tradition with its many family-run coffee farms and with coffee trees now more than a century old. Many of the Kona coffee farmers are fifth-generation descendants of the pioneering Kona coffee farmers still working on the Kona farms today. Kona is located on the southwestern side of the Big Island of Hawaii, and Kona coffee is one of the world’s top-ranked specialty coffees, with reviewers calling it distinguished for its simple yet rich flavor, typically light, delicate and mild with a complex aroma and taste. In addition to Kona there are now other areas of the Big Island beginning to produce substantial amounts of green coffee beans, primarily for export. Some of these are demonstrating great potential to equal or exceed the quality of the Kona coffee beans. These other Big Island coffee growing regions are located in Puna, Hamakua, Hilo and Kau and are mostly family owned and operated coffee farms. On the other Hawaiian Islands there are also numerous coffee farms including two very large, mechanized coffee plantations, one on Kauai and one on Molokai. Another substantial coffee plantation is located on Oahu and covers about 180 acres overlooking the north shore of that island. Due to being part of the United States, green coffee importers aren’t typically needed to source the coffees. Being part of a first world country, Hawaii has access to internet and a large base of technically savy population. This means that farmers often wholesale and distribute their own branded coffees to the mainland rather than work through brokers. The shipping portion is sometimes tricky, which makes fresh roasted coffees available only from the most committed online retailers. Others opt to roast their coffees, package and send it off to retail stores or distribution facilities such as Amazon, where it can sit for weeks or months before being sold. This is an absolute atrocity relative to the quality of Hawaiian coffees. We always recommend buying whole bean coffees, which stay fresh longer than ground coffee, and buying direct from a coffee roaster who roasts the coffee to order and ships direct to you rather than a random brand through a marketplace. Starbucks has even offered some Hawaiian coffees as part of their reserve program. A respect for the island and nature overall is ingrained in Hawaiian culture, making the leap to Organic certified coffees more of a happy skip. Since the late 1800s coffee has been cultivated in the Big Island’s Kona region along the lower slopes of Mauna Loa and Hualalai volcanoes. There are more than 650 independent coffee farms in the Kona region and they are located at elevations ranging from 500 feet to 3,000 feet above sea level. The Kona Coffee Belt, as it is often called along with Kona Coffee Country, is only about one to three miles wide but stretches for about thirty miles in length. A fine cup of Kona Coffee is very clean and also well-balanced. Kona tasting notes typically describe medium-bodied and quite cheerful in its acidity, very bright, yet classically balanced and often displaying some spicy as well as buttery qualities with subtle winey notes, intensely aromatic, and with an excellent finish. These flavors are best brought out in a medium roast, though anyone that prefers a more “roasted” flavor can get a dark or espresso roast – it’s more important to drink coffee that tastes good to you, rather than is “correct” according to so called experts and connoisseurs. The high quality of the beans, higher price, and distinct flavors means that Hawaiian coffees are often blended. These blends may either contain no Hawaiian Kona beans themselves, or sometimes as low as 10%-20%, and are then filled with a mixture of other origins that approximate the taste and flavor. The bulk of coffee grown in the Kona Coffee Belt is of the Typica varietal (Coffea arabica var. typica). There is also a relatively small amount of Blue Mountain coffee that is grown in Kona. These plants are the coffee plant varietal Coffea Arabica var. blue mountain which is traditionally grown in Jamaica and marketed as Jamaica Blue Mountain coffee. A fine Blue Mountain coffee displays a classic mild flavor and is well-balanced with a slightly sweet taste and a bright to vibrant acidity. The brewed Blue Mountain coffee has very little bitterness and its sparkling aroma exhibits sweet herbal and nutty overtones. It remains to be seen whether the emerging Blue Mountain coffees of the Kona region will meet the quality standards of Jamaica Blue Mountain coffee grown in Jamaica. Every spring the Kau region holds the Kau Coffee Festival, and every fall the Kona region hosts the Kona Coffee Cultural Festival. All year around you can enjoy Kona Coffee Farm Tours. For more information see: Big Island Coffee; Kona Coffee; Kau Coffee; Puna Coffee; Hamakua Coffee; Hilo Coffee; Oahu Coffee; Maui Coffee; Molokai Coffee; Kauai Coffee; Hawaii Coffee Grading; Hawaii Coffee Facts; Hawaii Coffee History – Kona Coffee History; Kona Coffee Farm Tours. President Barack Obama went to school in Hawaii, and made a couple trips during and after his presidency to the island. Obama has now made at least a dozen trips to Marine Corps Base Hawaii during his 2010 Hawaii Christmas vacation. He took his kids Sasha and Malia there to play basketball and go bowling, and took Michelle there to personally greet U.S. Service members on Christmas day. In 2011, he played golf, visited U.S. Service members on Christmas Day with the first lady, went to the beach and for shave ice with Sasha and Malia and also took them bowling and played basketball with them. The President also dined with family and friends at Alan Wong’s Restaurant after driving through his old neighborhood where he was raised in large part by his late grandmother. 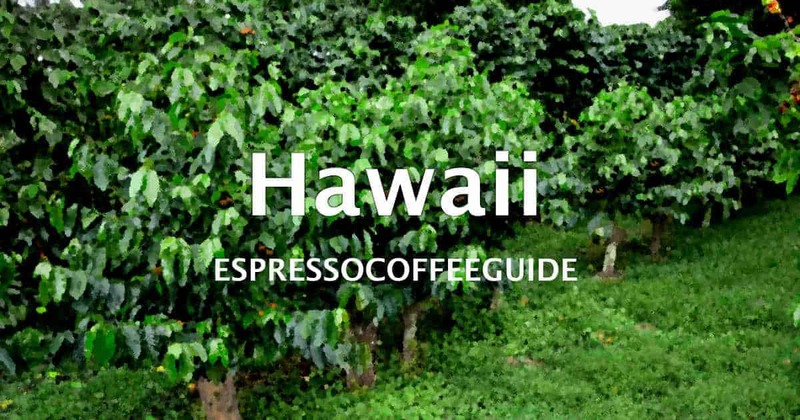 For tips on brewing the perfect cup of Hawaii coffee see our section titled All About Coffee including tips on Coffee Brewing. 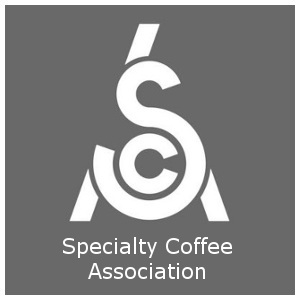 You can also see coffee flavor profiles of Gourmet Coffees and instructions on preparing the gourmet Espresso Drink Recipes. I am writing hoping that this will reach the correct person that I may need to speak to in reference to becoming an authorized dealer of your product. Looking forward to hearing from you. Thank you for your time.